This June, The Hub TV will add two fan-favorite, live-action series, the '80s sitcom ALF (Monday, June 4) and '90s drama Lois & Clark: The New Adventures of Superman (Sunday, June 3) to its primetime program lineup, both from Warner Bros. Television. With strong and devoted fan bases for both shows, the newly acquired series will join the current primetime schedule that features Mork & Mindy, Happy Days, Sabrina The Teenage Witch and The Facts of Life, building on The Hub's successful strategy of presenting programming based on beloved properties in the kids and family entertainment space. Beginning Sunday June 3, the new primetime schedule of popular series will be aired in marathon blocks. Lois & Clark: The New Adventures of Superman will air Sundays from 8-11 p.m. ET in primetime. On Mondays it will be Mork & Mindy from 9-11 p.m. ET. On Tuesdays it is Happy Days from 9-11 p.m. ET. Wednesdays will feature The Facts of Life from 9-11 p.m. ET. And on Thursdays, it is Sabrina, The Teenage Witch from 9-11 p.m. ET. New acquisition ALF will air weekdays at 8:30 p.m. ET leading into the sitcom blocks every Mon-Thurs. ALF will also encore Mon-Thurs nights at 2:30 a.m. ET leading into encores of the sitcom marathons from 3-5 a.m. ET. On Sundays, Lois & Clark: The New Adventures of Superman will have an immediate encore from 11pm-2am. Back to Mon-Thurs, Laverne & Shirley and Batman will remain in the 11pm hour, with an encore at 5am. So many good shows and something for everyone. As for the sitcoms not airing weeknights and sitcoms late nights on weekends, The Wonder Years is getting a better slot on Friday and Saturday nights, airing 1:00am & 1:30am ET. An episode each of Doogie Howser M.D. and Family Ties will remain at 2:00am & 2:30am, and this includes Sunday nights as well. At 3am & 3:30am Fri-Sun nights, we now have an hour of Sabrina, the Teenage Witch, replacing an episode each of Happy Days and Laverne & Shirley. And since Wonder Years moves to 1am on Fri-Sat nights, Honey, I Shrunk the Kids will air at 4am on Fri-Sat nights. Also on Fri-Sat nights, we have more Batman at 5am & 5:30am. Sunday nights from 4-6am will remain children's shows. On just Friday nights, Mork & Mindy will air 11pm & 11:30pm leading into an hour of Happy Days and Laverne & Shirley. 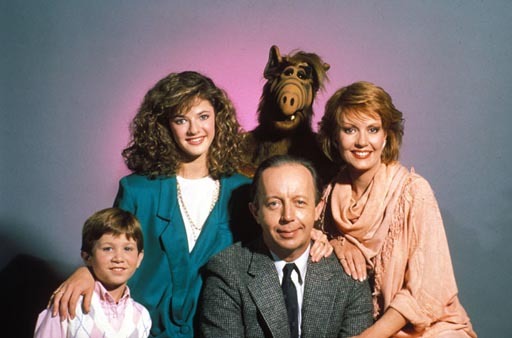 ALF follows the adventures of Gordon Shumway, a furry, wise-cracking alien from the planet Melmac who crash lands into the garage of the Tanner family. The Tanners offer him a home and give him the nickname ALF, short for "Alien Life Form." Created by Tom Patchett and Paul Fusco (also the puppeteer for ALF), the half-hour sitcom rose to popularity in the late 1980s cementing itself in the pop culture zeitgeist. Distributed by Alien Productions. Lois & Clark: The New Adventures of Superman features the daring exploits of the legendary Superman in an exciting, action-packed hour-long series featuring iconic comic book characters Clark Kent (Dean Cain), his superhuman alter ego and Lois Lane (Teri Hatcher, Desperate Housewives) in the most unrequited romance of all time. Distributed by December 3rd Productions and Warner Bros. Television. Stay with us for further updates on The Hub, but enjoy ALF and Lois & Clark: The New Adventures of Superman! Moving on, Nick at Nite is bringing back The Brady Bunch! The sitcom will return tonight (technically early Tuesday morning) at approx 5:02am & 5:34am. Two episodes will air every morning, except on Sunday nights (Monday mornings) it will only air once at approx. 5:02am, as Glenn Martin airs approx. 5:34am. The Brady Bunch is replacing Family Matters, which is now off the schedule completely. Steve Urkel and the Winslow's have been a staple on Nick at Nite for about four years now. No word on if and when Family Matters will return. As for The Brady Bunch, it looks like it is returning to the Viacom network family, as it has aired on Nick at Nite and TV Land before. The last time Viacom aired Brady Bunch was in late May 2010 on TV Land, as looks like it has gotten another contract at Viacom now. 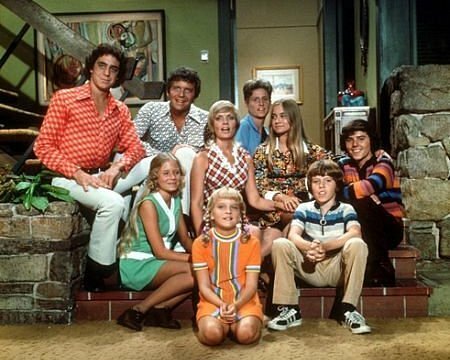 The Brady Bunch will still remain on cable on INSP and on digital broadcast on MeTV Network. But if you don't get those, you can now watch them every morning on Nick at Nite! There are some other schedule changes to report as well effective tonight (Monday, May 21, 2012). Yes, Dear will move to Sun-Thurs at 8:00pm & 8:30pm. This means Friends' two-hour block is now back to back-to-back airing every night from 11pm-1am. That '70s Show will now move to Sun-Fri 9:00pm & 9:30pm, shifting George Lopez back to its 10:00pm & 10:30pm stomping yard. Yes, Dear will air on Saturday nights at 10:00pm & 10:30pm, though. As for late nights, approx. 1:12am & 1:46am will be George Lopez encores every night except Sunday nights will have That '70s Show. At approx. 2:18am, Everybody Hates Chris will remain Mon-Fri nights. Yes, Dear will air on Sat-Sun nights. At approx. 2:51am, Yes, Dear will air every night. At approx. 3:22am, we have another Yes, Dear Mon-Fri nights, while Saturday nights as That '70s Show and Sunday nights have The Nanny. At approx. 3:56am, it's The Nanny every night except on Saturday nights it is That '70s Show . At. approx 4:30am every night is The Nanny still. And The Brady Bunch closes the night out with two airings every morning (once on Sunday nights), as we mentioned. The 6am hour is back to Nickelodeon programming now. All times after 12am are approx. on Nick at Nite due to more commercials. So what do you think of the addition of The Brady Bunch back on Nick at Nite after all these years?